Chart No. 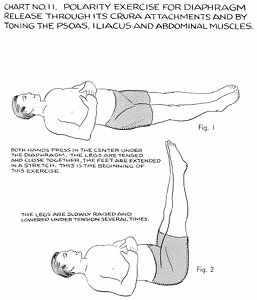 11 - Polarity Exercise for Diaphragm Release Through Its Crura Attachments and By Toning the Psoas, Iliacus and Abdominal Muscles. Both hands press in the center under the diaphragm. 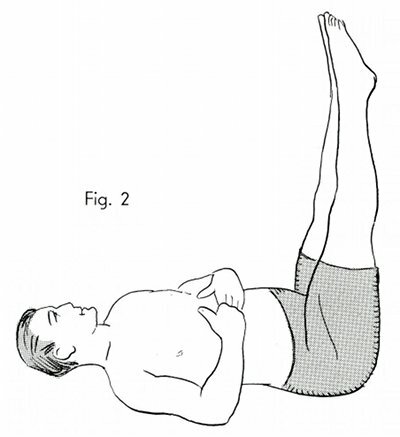 The legs are tensed and close together, the feet are extended in a stretch. This is the beginning of this exercise. The legs are slowly raised and lowered under tension several times. Book 4, "Explanation of Chart No. 11"